The Paint Roller, invented by Norman Breakey. Could you imagine having to paint an entire room, or house with only a brush!? That’d be a nightmare of a task to complete. We can thank Canada yet again for making our lives a little easier, specifically Norman Breakey. 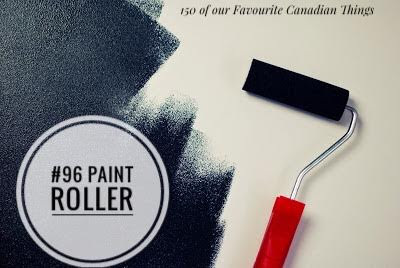 Breakey is credited with inventing the paint roller; a device used to paint walls quicker and with smoother coats than a brush. Unfortunately Breakey didn’t patent his invention and imitations from larger companies flooded the market and squeezed him out. While he was never able to reap the financial rewards of his invention, anyone who has ever painted since 1940 can thank him for making their lives much easier.